Here is the chilling truth about life for some people in Samoa today. Looking at some of the pictures that have been published on the pages of the Samoa Observer, mostly in the Village Voice section, poverty is real in paradise. Indeed, for many of these people, to say life is tough is an understatement. Life is more than tough; it is atrocious. The images don’t lie; those pictures are a reflection of the daily struggles and hardships for many families. It’s certainly not all roses as some people will have you believe. There are cases where there are far too many children that parents are struggling to care of them. Some of them look malnourished, some need clothes and goodness knows what will happen when they grow up and start to want what other people have. But then whom are we kidding here? The writing has been on the wall for a while. As a matter of fact, how can we forget the first State of Human Rights Report for Samoa, which identified undeniable poverty in this country? The report, by the way, was sanctioned by the Government and launched by Prime Minister Tuilaepa Sa’ilele Malielegaoi himself. 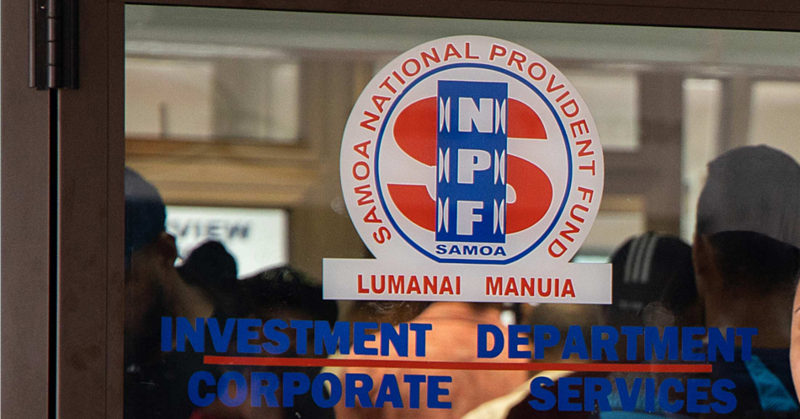 Compiled by the Office of the Ombudsman as the National Human Rights Institution (N.H.R.I) of Samoa, the report found that one in every five Samoans live in poverty. Folks, we’ve said this before and we will say it again, those are not our words. Those are the words of the report paid for by taxpayers funds and endorsed by Prime Minister Tuilaepa when he spoke at the launch. He even called for the formation of a Parliamentary Committee to follow up on the report’s recommendations. Now what has happened to that? We ask this because judging from what we are seeing today, there is reason to believe that if poverty was that bad a few years ago when the report was compiled, it would be a lot worse now. And all you have to do is look at those pictures again. They don’t lie. But don’t stop there. Look at the state of the average Samoan, the farmers, mothers and their poor children and what they have to go through every day just to make a tala or two in Apia and Salelologa. Look at the growing number of Samoans – of all ages - who are being enslaved to run all over town to sell pins, cans of soda, twisties and air fresheners while their “foreign masters” sit in the shade and collect their handsome cash. Think about the basic cost of living and basic services. Think about the cost of food, including the most basic meat, chicken, and how expensive it has become. Think about how the cost of most services provided by the Government has increased over the years. Having said that, we accept to a certain degree that times are tough and in some cases, the Government needs money to do what they need to get done. But here is what annoys this column to no end. What percentage of those increases and the expensive cost of living is the result of negligence, corruption and mismanagement by the public service? Think about how taxes are hurting everybody, especially when they are being taxed to the bone every day. Isn’t it downright cruel then that while we are taxed everywhere we turn in this country today, we also find that the cost of living, the cost of basic services and the cost of basic utilities continue to show no mercy to the downright depleted soul? Ladies and gentlemen, somebody – or some people - are responsible for this suffering. And the Government should take a large chunk of the blame because of their lack of care and absent-mindedness about doing what is right to help people. What we find especially shameful is the attitude of apathy that’s being shown towards these problems by some public officials. They just don’t care and pretend that everything is okay. Have a look at those pictures again. Things are not okay. We believe our leaders should be reminded again about how imperative it is that they do the right thing.